I know I most likely say this on every favourites post but this month has flown by! It has been such a good month for me as well! It has been super rainy weather wise which I am so happy about as I have had lots of cosy days in. I also passed my theory test so I should be driving by mid October! 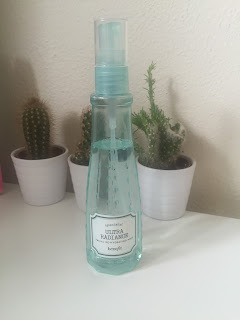 Firstly I have been loving the Benefit facial hydrating mist. 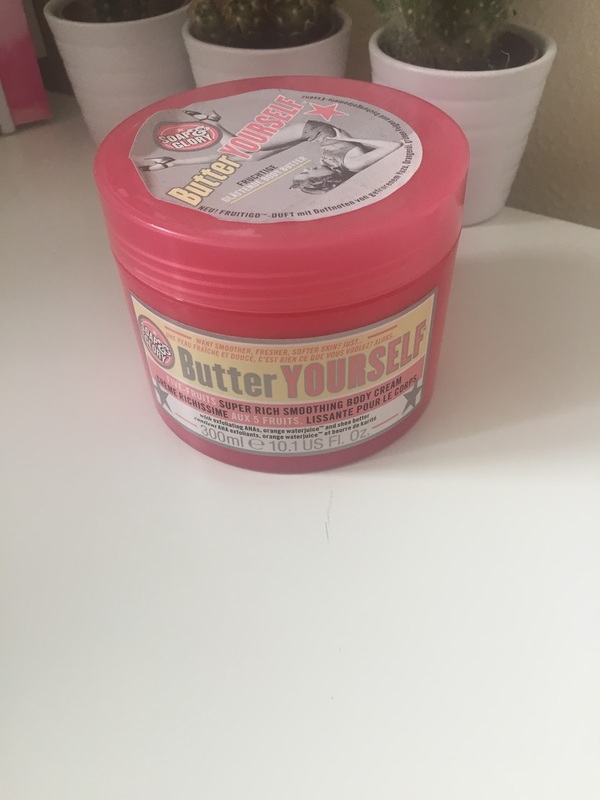 I have been using this throughout the day over my makeup when my skin has been feeling a little tight. 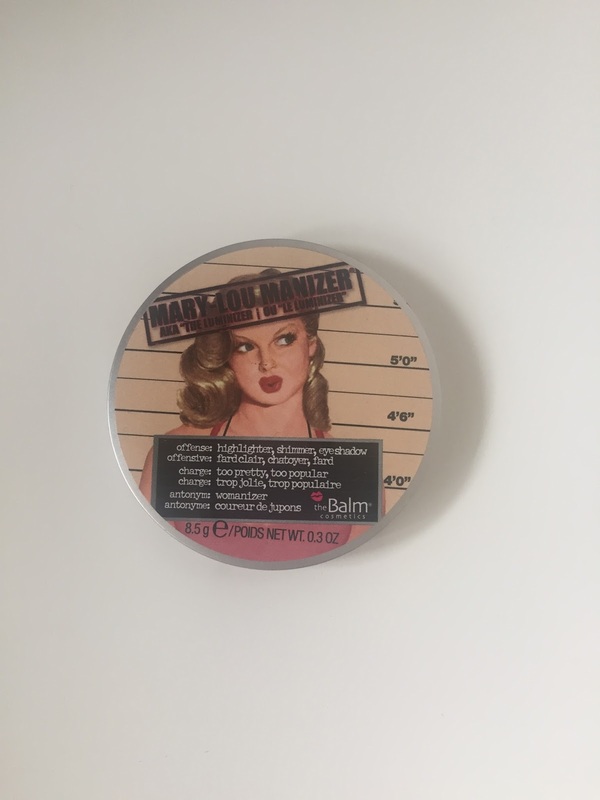 My main use for this though has been to spray a little on to my real techniques complexion sponge to slightly dampen it whilst applying my foundation and concealer. 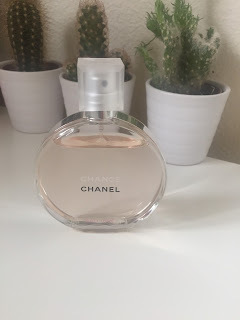 At the beginning of this month I bought the Chanel Chance Eau Vive perfume. I have wanted this ever since I tried it in boots on a shopping trip with my sisters. this perfume is so light and floral but it is also sweet. It is more of a spring/summer scent but it is so pretty I will most likely wear it all year round. I am on the hunt for my signature scent at the moment so this could well be it! The Balms Mary lou-manizer is so popular in the beauty community which is what made me buy it a few months ago. I used it so much when I first got it but stopped using it a lot. This month I have rekindled my love for it. 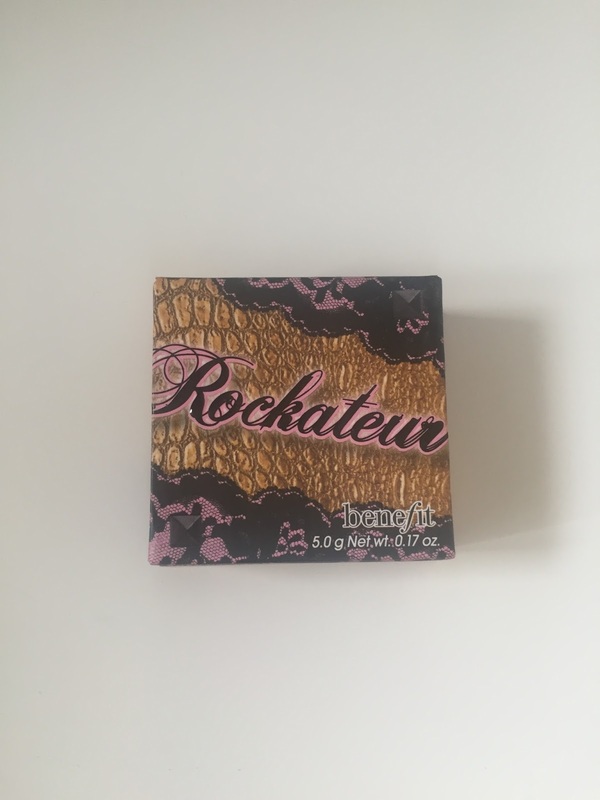 Since the weather is getting more and more autumnal i think this highlighter is perfect as it is golden and gives a pretty warm glow to your cheeks. 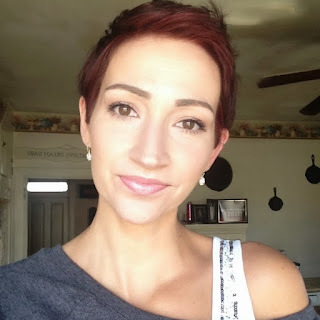 You may or may not know this about me but I am an avid fake tanner! I hate being pale therefore I am constantly tanning. When I am really tanned I like to be bronzed on my face too. 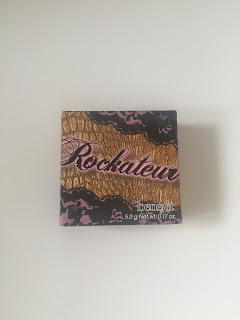 Benefit Rockateur blush is very brown toned and give me the perfect balance between blush and bronze on my cheeks. I have heard so much about Mitchum anti perspirant so I thought I would give it a try. 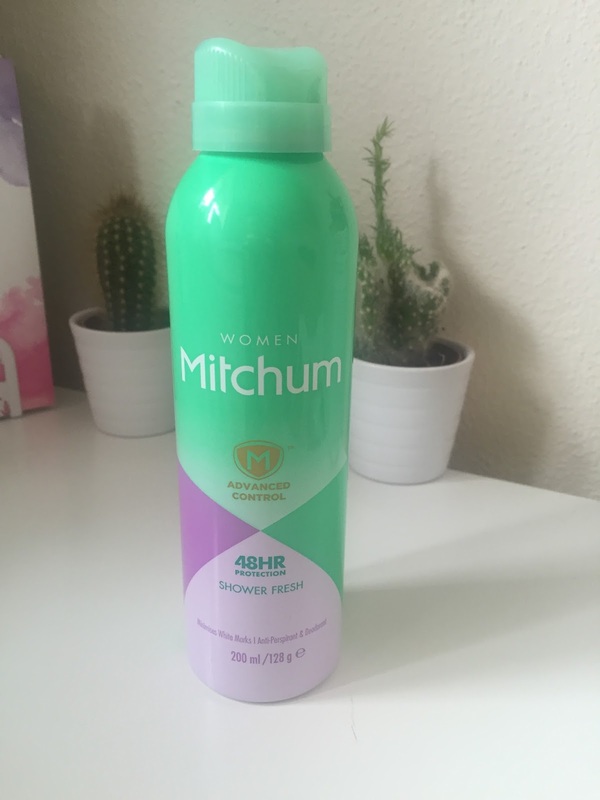 There isn't much you can really say about a deodorant apart from it works really well. One thing I will say is some spray deodorants feel really powdery and dry which I hate . Obviously I want my underarms to be dry but I still want them to feel moisturised and this deterrent does just that! 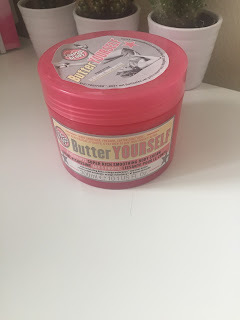 Lastly for beauty I have been loving the Soap and Glory butter yourself body butter. Like I said I fake tan a lot so I tend to exfoliate a lot which makes my skin so dry which is gross I also have a little eczema which gets really irritated when I fake tan. Not only has this moisturiser been making my skin stay smooth but it also has been helping my fake tan last a couple days longer then when I don't moisturise which is a bonus. Finally I have been so obsessed with Nicole form Young Wild and Polished. She is so funny and genuine you just have to love her. Her youtube videos and snapchat stories are hilarious! I have also been obsessed with her Instagram too! if you haven't already go check her our because she is so amazing! The benefit hydrating mist sounds great especially as my face gets so dry throughout the day, I would like a mist to spray as it would be light on my face.